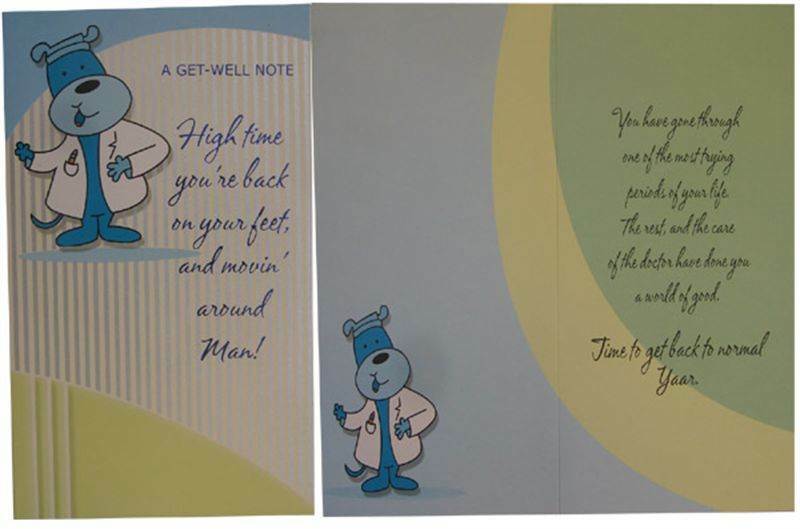 Front Message : A get well note. High time you’re back on your feet,a nd moving around Man!!!!! Inside Message : You have gone through one of the most trying periods of your life. The rest, and the care of the doctor have done you a world of good. Time to get back to normal yaar!!!!!!!!!!! !